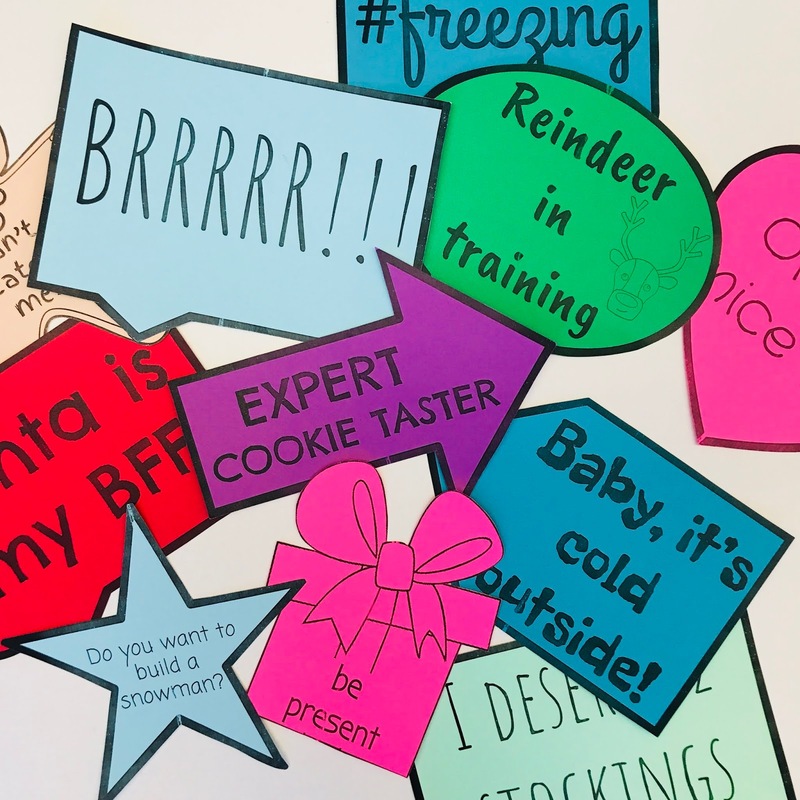 Every year as a classroom teacher, I always stressed out about having the perfect gift for my students to give to their families during the holidays. As a person who enjoys giving gifts myself, I try to ensure that my gifts are purposeful and unique. I believed in the same concept as to what I was going to have my kids make. While I am a big fan of crafting, with 24 children, it can go bad real quick. Also thinking about how much it was going to cost each student to make their gift can get expensive! 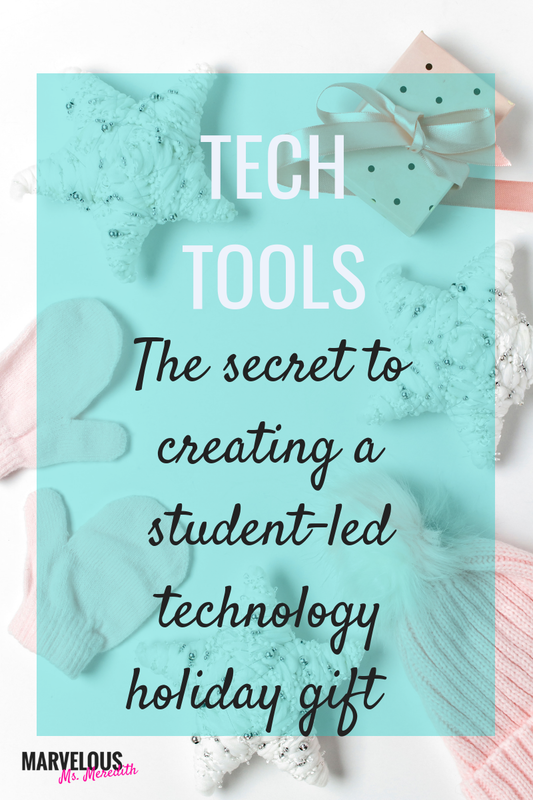 After some thoughtful planning, I thought of a way to integrate students' use of technology into their family holiday gift to save time, money and still create something personal. 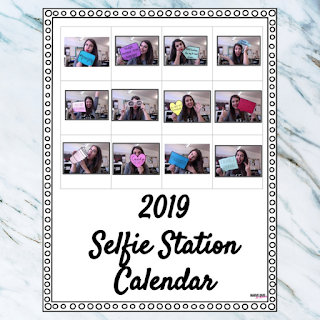 That's where I came up with the Selfie Station Calendar. With a new year approaching, a calendar is very useful! I know that teachers will often times have their kids decorate each month with a little art project, but honestly, that seemed like a lot of work to me. Instead, each month was decorated with their child and different props to represent each month. My first year doing this project, I brought in some items like sunglasses, hats, and all sorts of crazy stuff and a parent helped me take 12 different themed pictures of each child. As this project evolved each year, it's been more student centered and less work for me. After all, it's THEIR gift that that students are giving to parents! What did you use for the calendar? 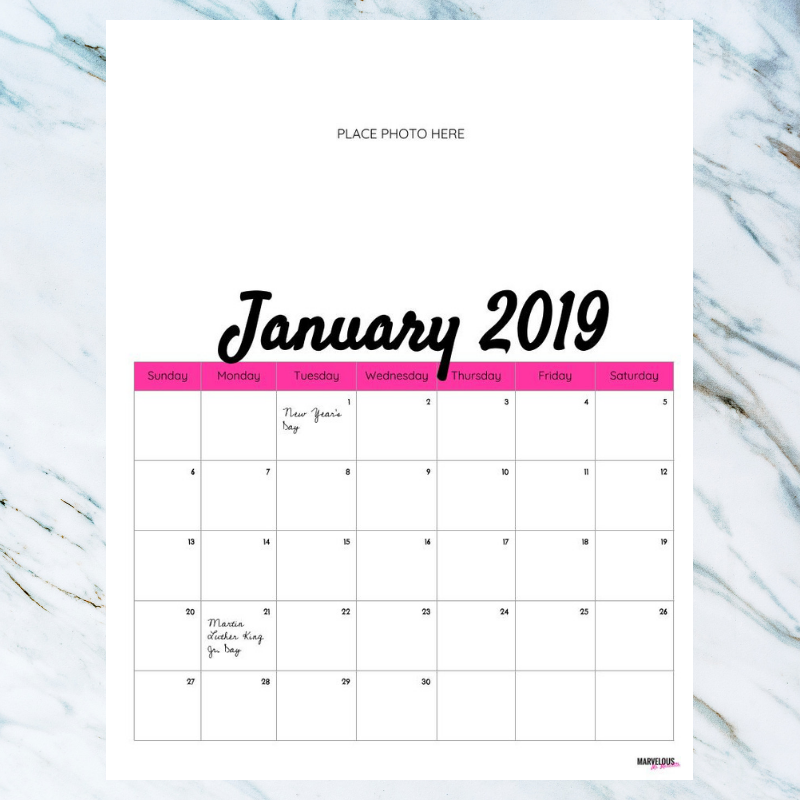 I created a calendar template for each month using Google Slides. The top portion I left empty for students to insert their pictures. I shared this template with the students in my class using Google Classroom so that it made a copy for each one of them. This also was great management when students needed tech support and I could hop onto their piece and work with them to solve the problem. When the calendars were finished, I could easily find each students' name and print. Another added bonus was for students who had divorced parents, I could easily print multiple copies and they didn't physically have to make more than two. What did you use for the props? 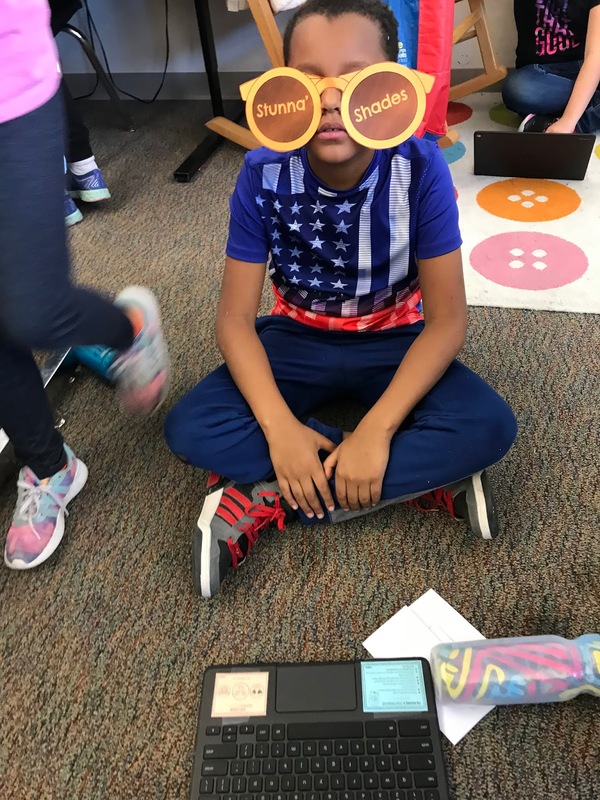 As I mentioned in the beginning, my first year doing this project, I brought in all sorts of random stuff I found at home and in my classroom. Any costume item that I owned was in my room for over a week. As this project evolved, I actually created my own printable props that were themed for each season of the year. This actually turned out a lot better because students had more prop choices for their photos, I could store them easier in just one file in my filing cabinet, and they actually turned out to be more vibrant and photogenic! I printed and cut out each theme, sorted them by months and wrote in pencil on the back which month the prop represented. 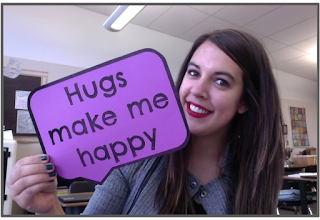 I then sorted the months around the room and students would grab one prop at a time to take their photo for that month. How did they actually add their pictures? 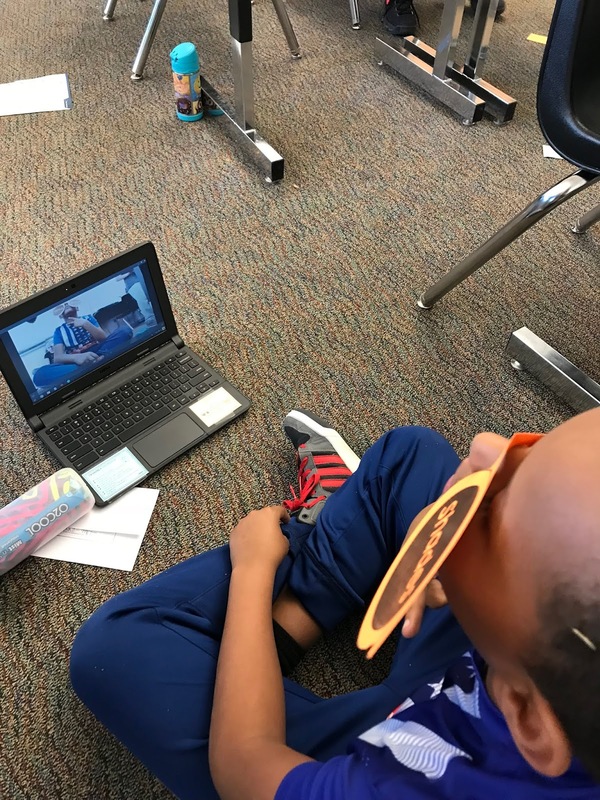 Students helped one another face their computer camera at the proper angle to take a picture for each month of their calendar and then insert in to template. How did you manage their projects to ensure they were finished in time? Since my 3rd graders hadn't ever done a gift like this before, there was a huge amount of buy in. They also thought that the props and my example calendar was funny so they were super excited to make their own. I also started this project at the end of November/early December so I could print and bind each calendar and then have students wrap them. That way if students were absent, I had plenty of time for them to make to make it up. As far as the prop management went, I told students that they didn't necessarily have to go in order for their calendar. That way not all the January props were gone at once! We worked on these for about 30 minutes a day for 3 days and the majority of my class was finished. Those who finished quicker were able to help others or even type in important events within their calendar. How much did this gift cost you? Zero dollars. That's right! Since I made the props and calendar template myself, it was free-99. I also had the benefit of having colored card stock paper to print on for the props and binding I could use to bind the calendars. I did have to print in black and white a couple of years because of restrictions we had on our school's color printer. They still looked really cute! I also told the kids that they could definitely print in color at home and send to other family members as well. 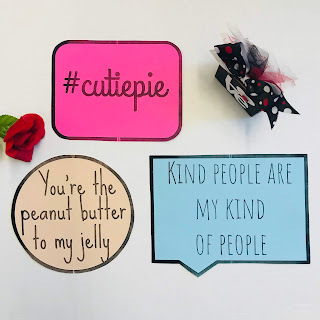 I know that the cost might vary for different classrooms, especially if you use my template and props to get you all set up. Overall, this is a low cost project that is highly engaging for your students. There was a reason why I did it many years in a row. The families absolutely LOVED them! 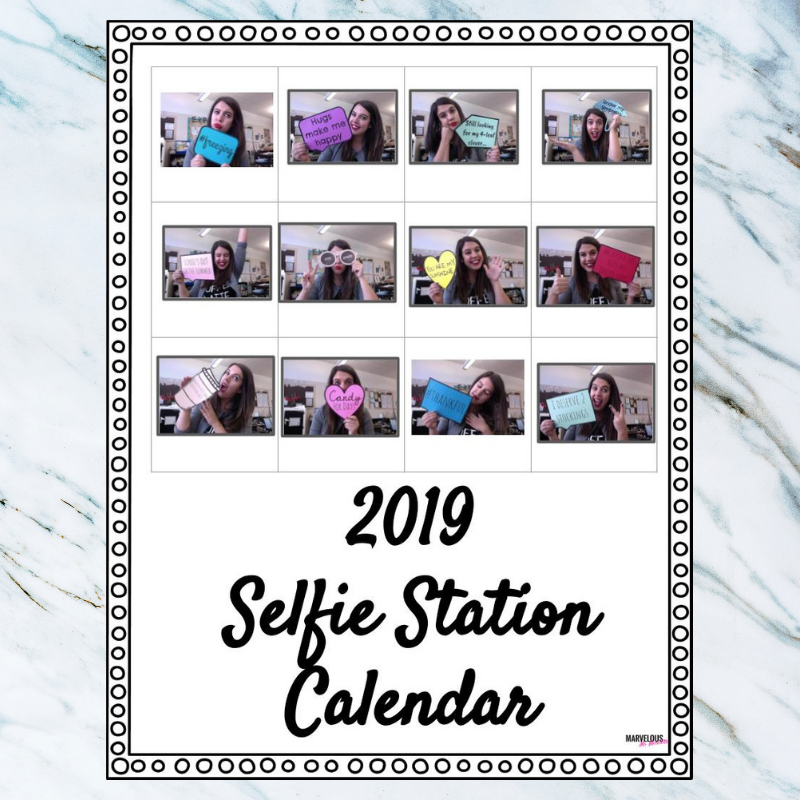 I would love to see your Selfie Station Calendar creations! 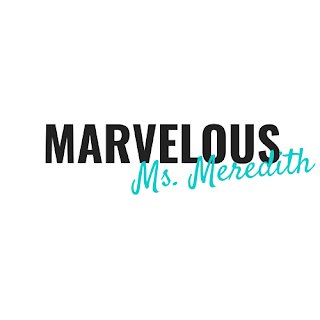 I have everything that you need to implement this project with your class in my TeachersPayTeachers store, Marvelous Ms M.
Tag me on Instagram @marvelousmsm . Stay marvelous!